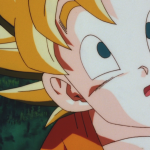 Wow, we already have an American anime Blu-ray getting a double dip (well mostly anyways). 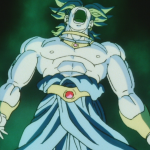 Here we are again with yet another Broly Blu-ray. 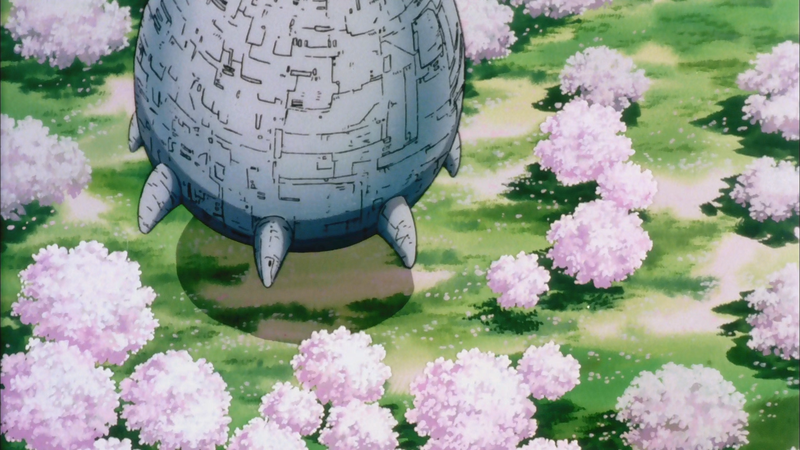 The original ‘prototype’ Blu-ray disk had quite a few problems. 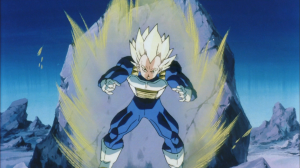 Is this new disk’s power maximum? Let’s go take a look. 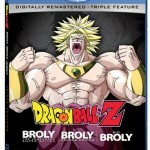 The packaging is nothing special, just a plain Blu-ray case. 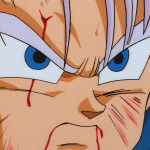 the artwork and theme of the case is the same as all the other DBZ movie Blu-rays, minus this one being a triple feature rather than a double feature. 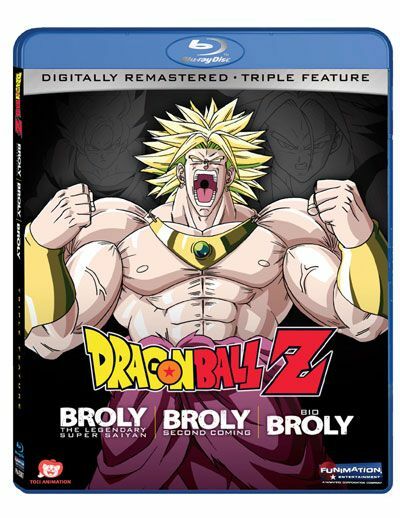 All the things expected have been changed for this (triple feature rather than double, 3 descriptions on the back, the insert having the original USA DVD art for all three 3 movies, all that). 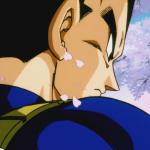 The menu is, once again, the same as all the other ones, minus it being modified for three movies. 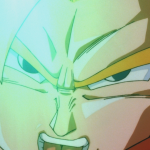 I’ve quite liked the menus funimation has made for the DBZ Blu-rays (outside of the original Broly disk), with my only problem being the fonts being a little small. 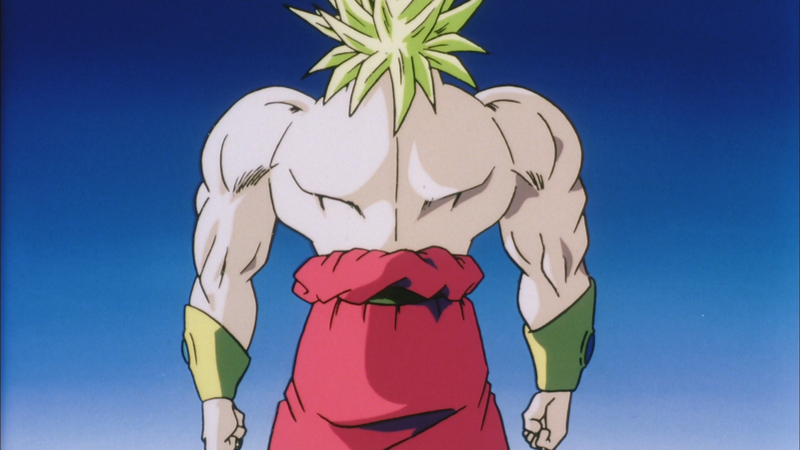 The Broly movies are hard to review in that… everyone knows the character, and holds him in high regard, but the movies aren’t really special. 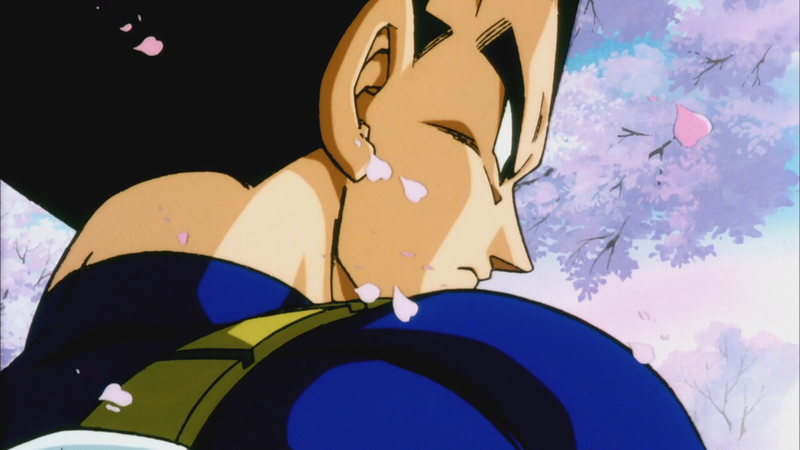 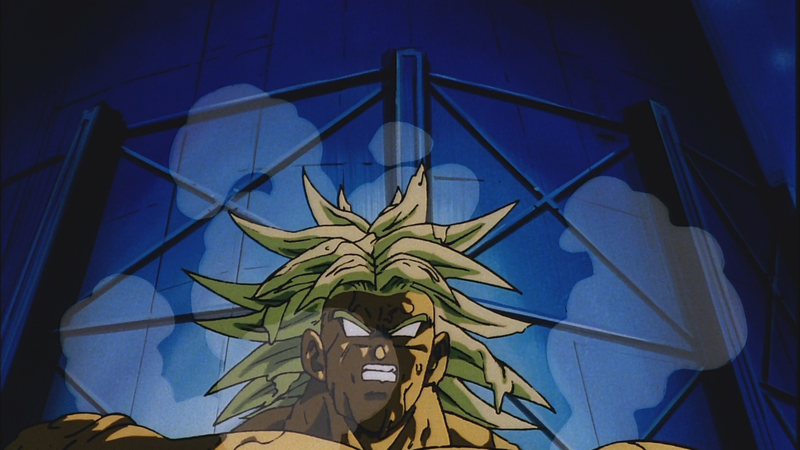 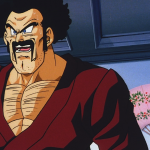 The first movie introduces Broly, and has the whole ‘New Vegeta’ plot, but it honestly comes across as boring at times. 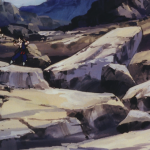 The fight scenes are exciting and the movie isn’t really bad, I just don’t think it’s that good. 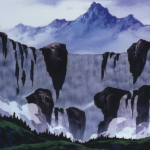 It’s still decent though. 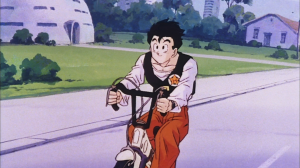 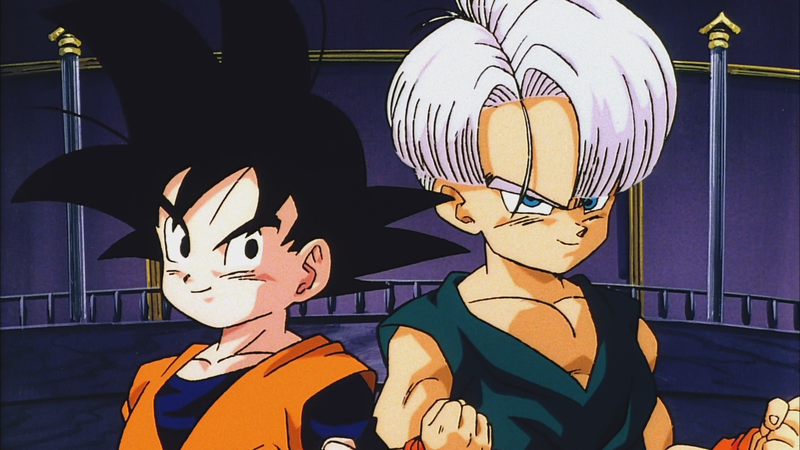 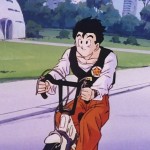 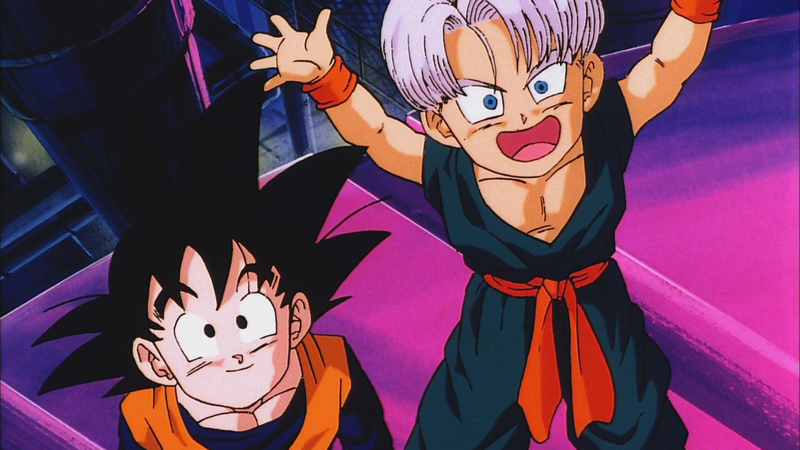 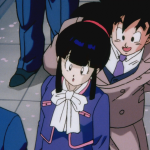 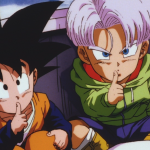 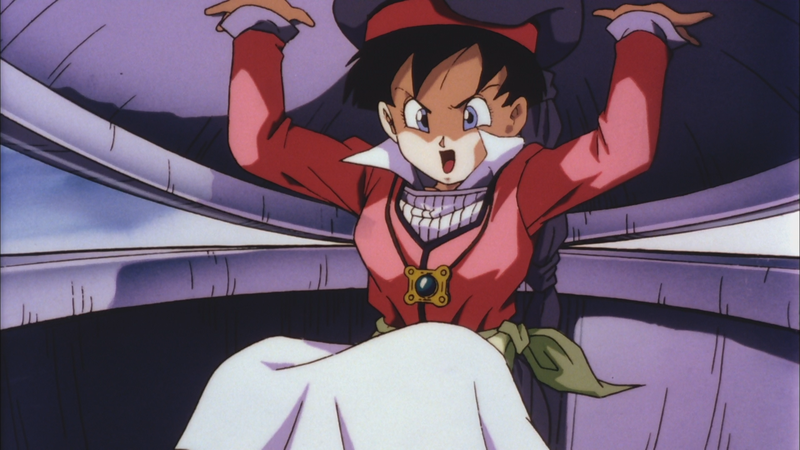 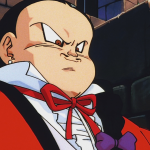 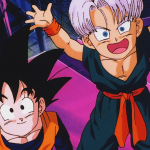 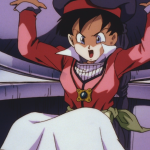 Second Coming fares better (for me personally anyways) because I’ve always been a big fan of the comedy stuff, and with Trunks, Goten, and Videl being the primary cast for the majority of the film, it’s more enjoyable to me, even if honestly, it probably isn’t as good as the first one. 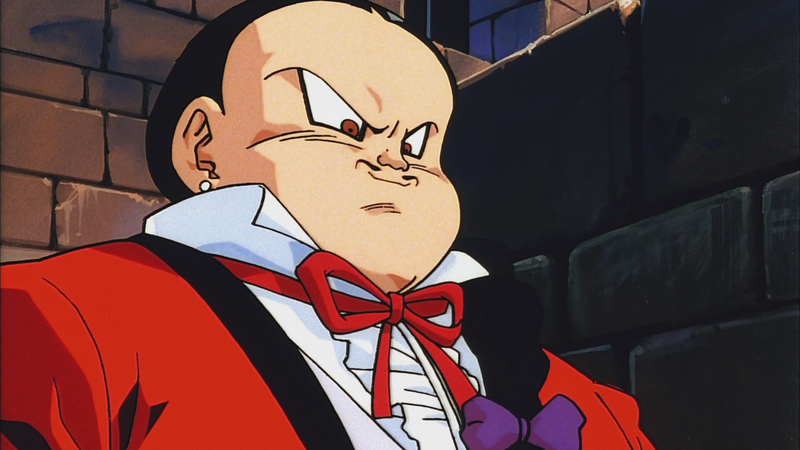 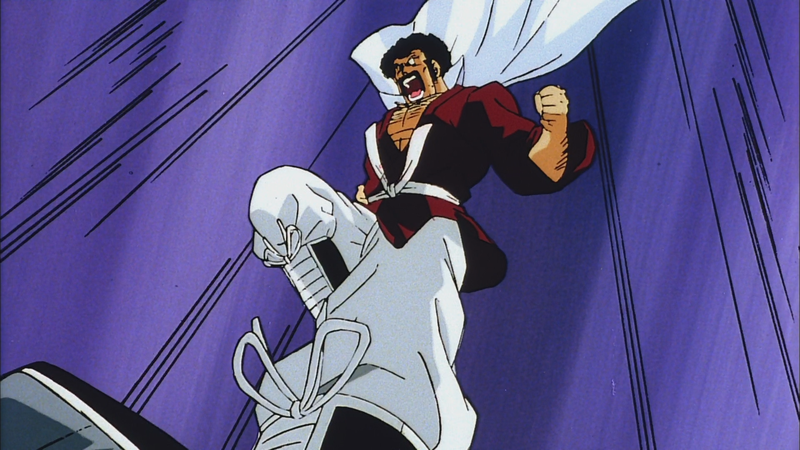 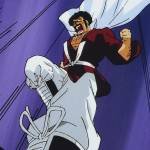 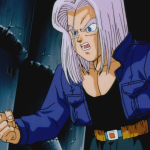 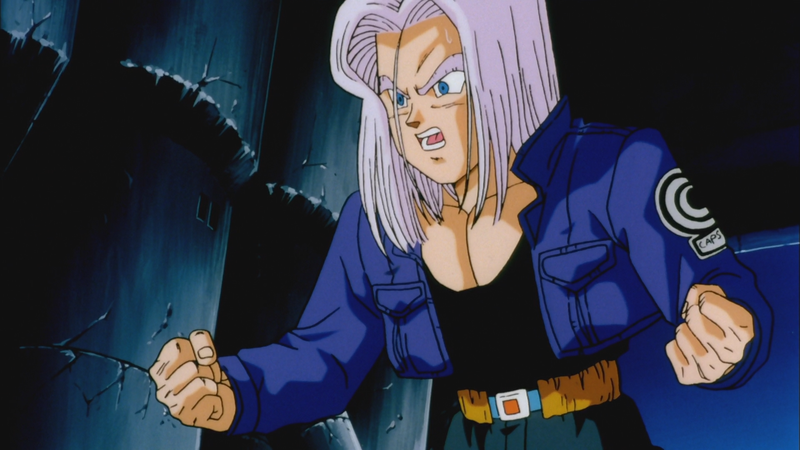 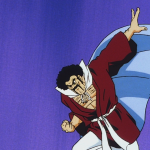 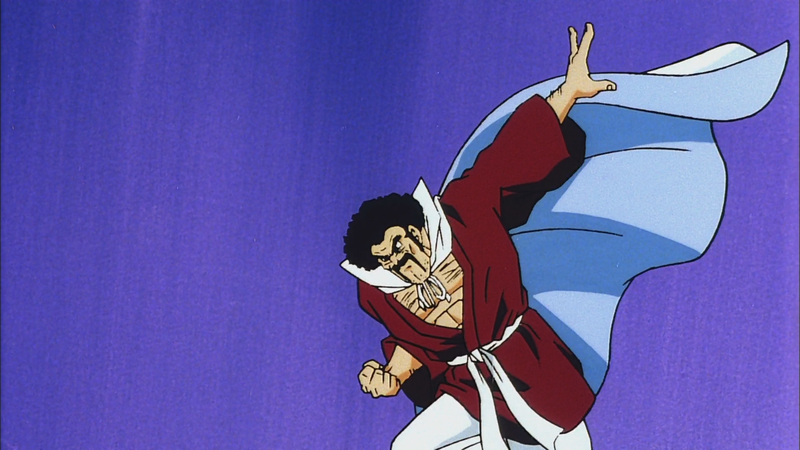 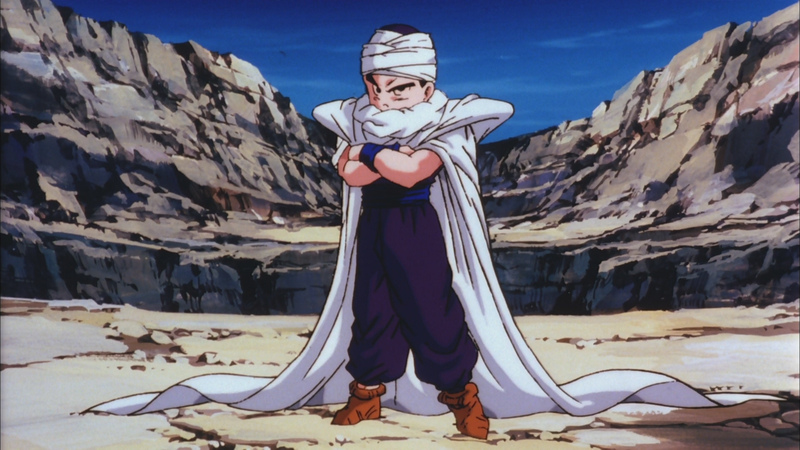 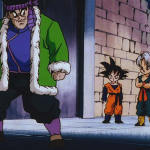 I also like the concept of using a villian that was basically tailor made as a villian specifically for Goku fighting when Goku just isn’t around. 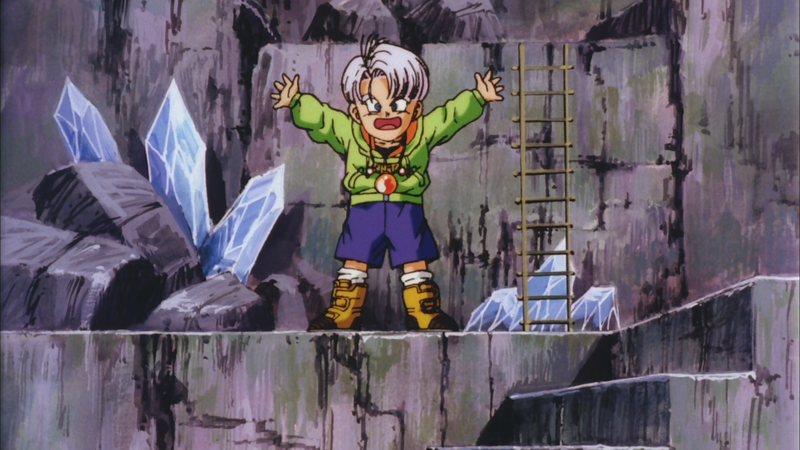 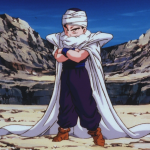 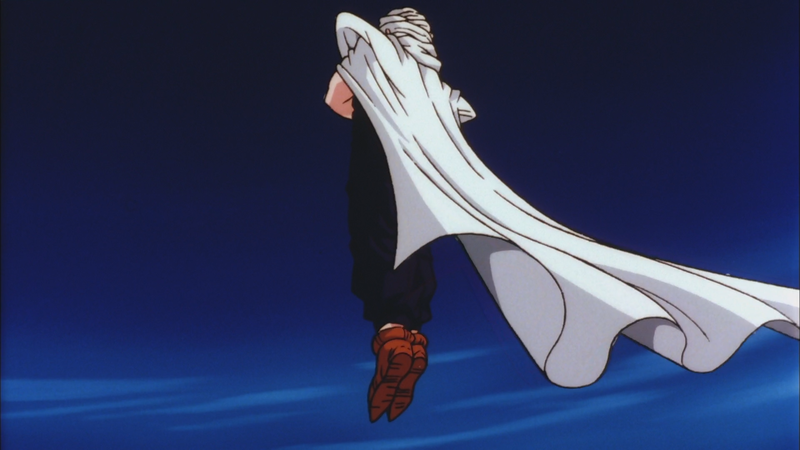 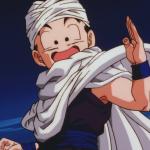 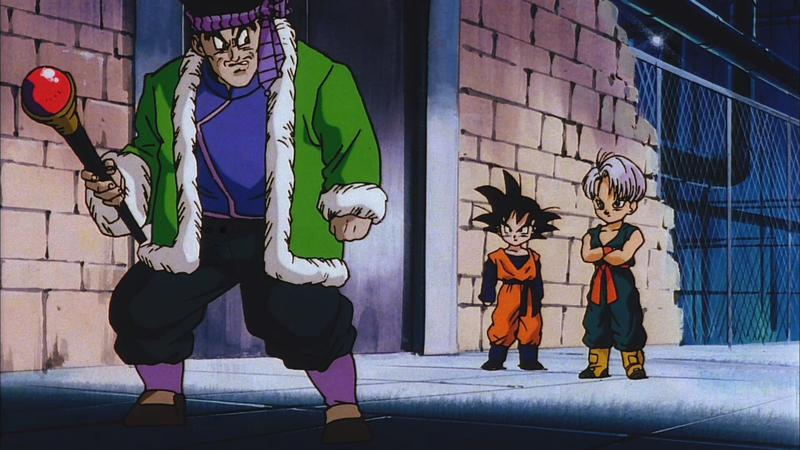 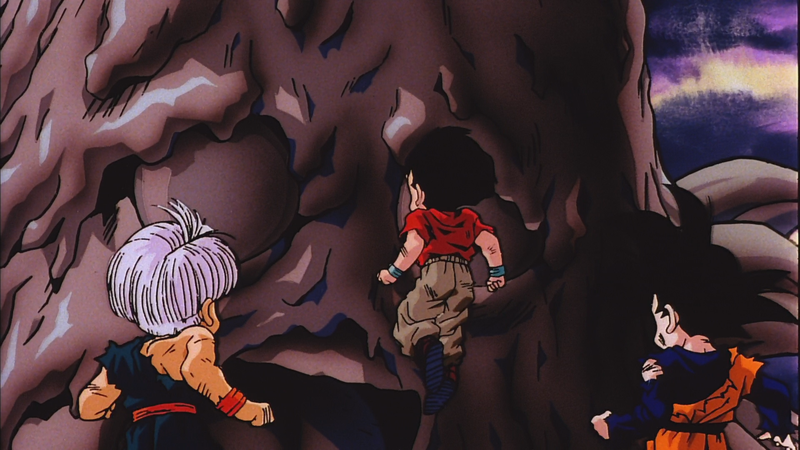 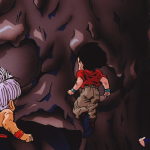 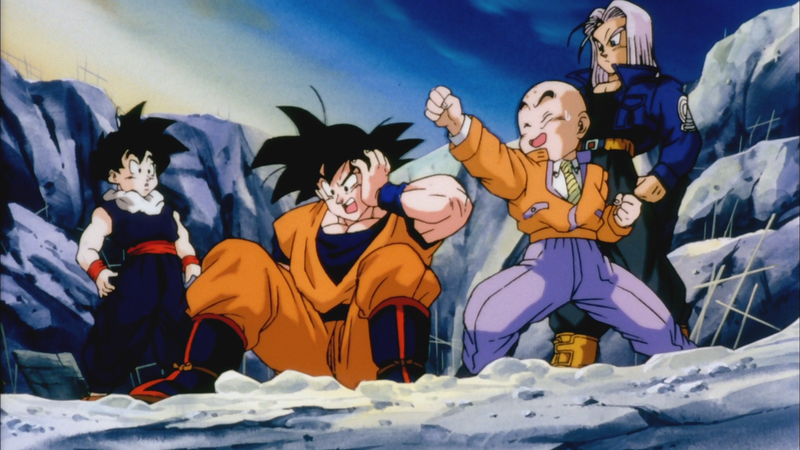 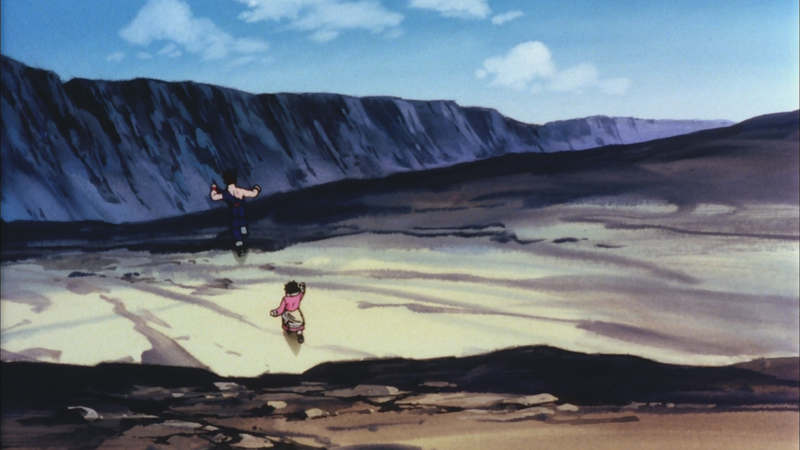 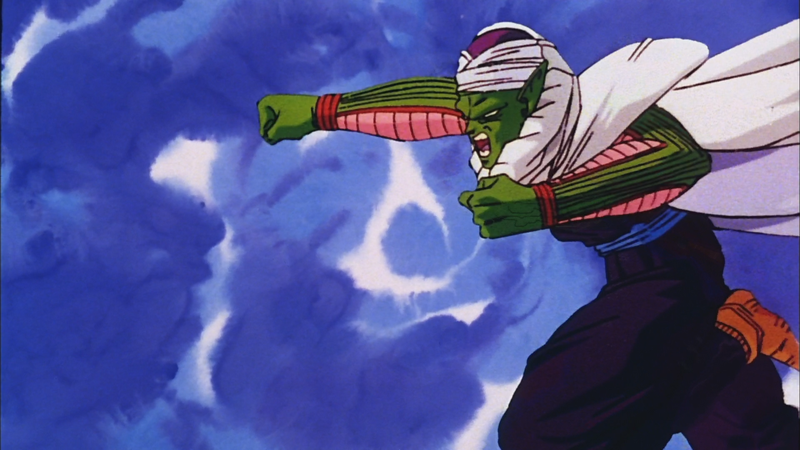 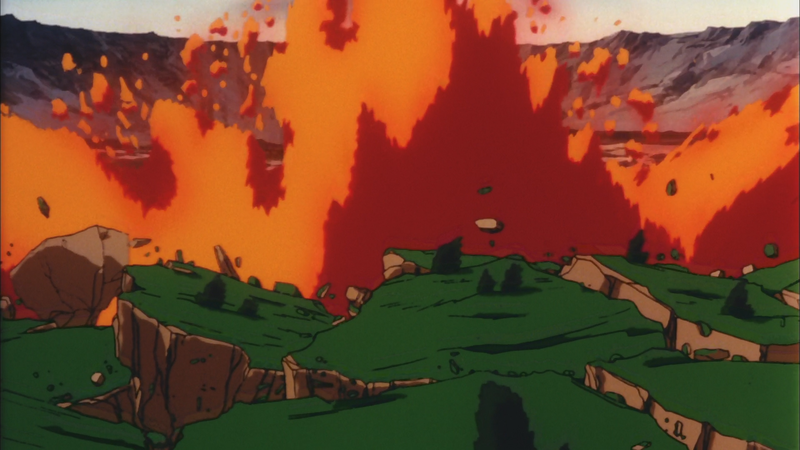 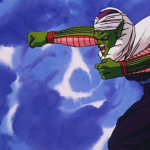 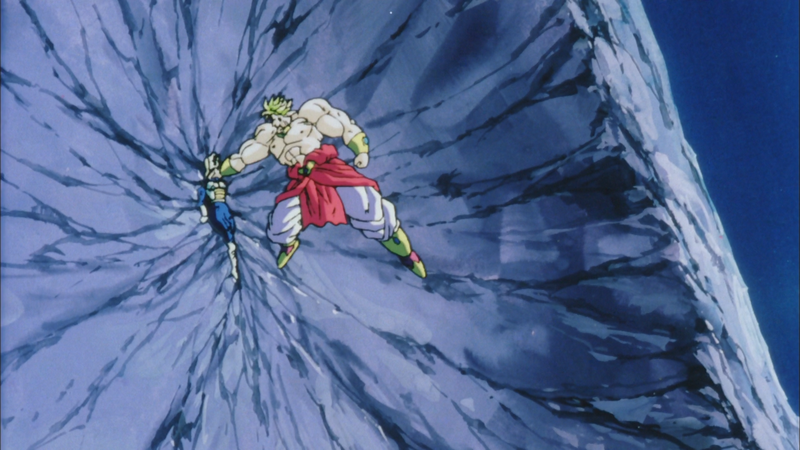 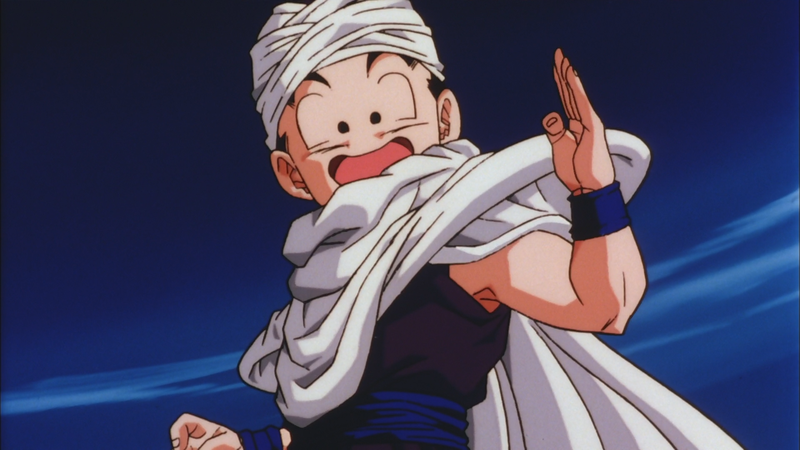 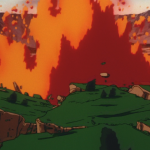 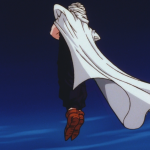 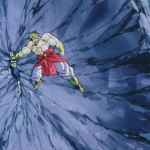 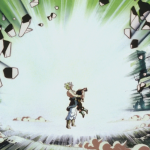 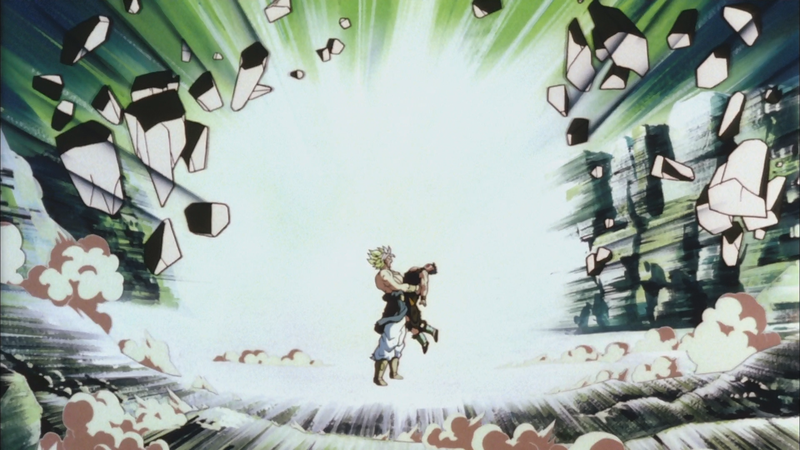 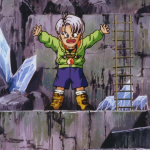 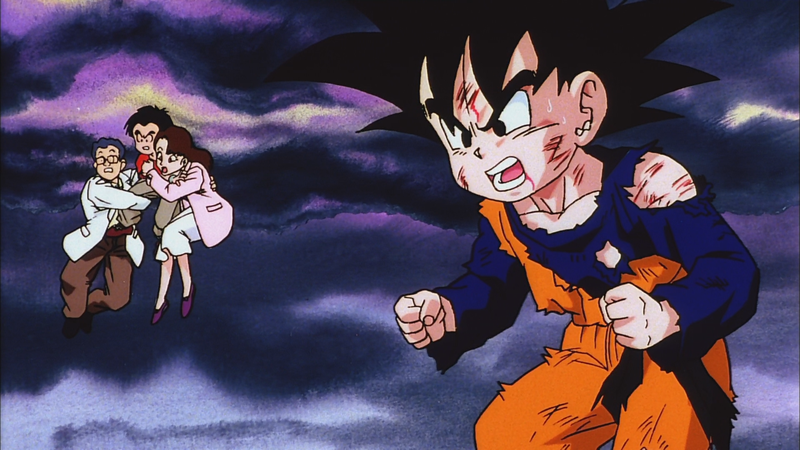 Plus one of the most amusing scenes is right after we see Piccolo save Gohan. 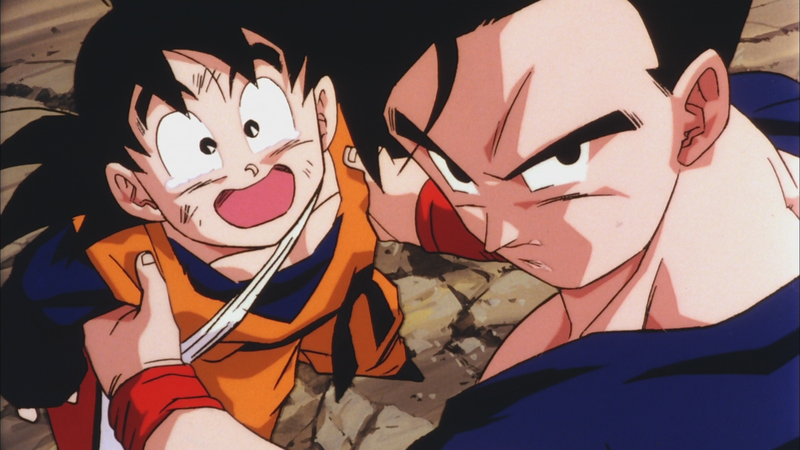 Always gives me a smile. 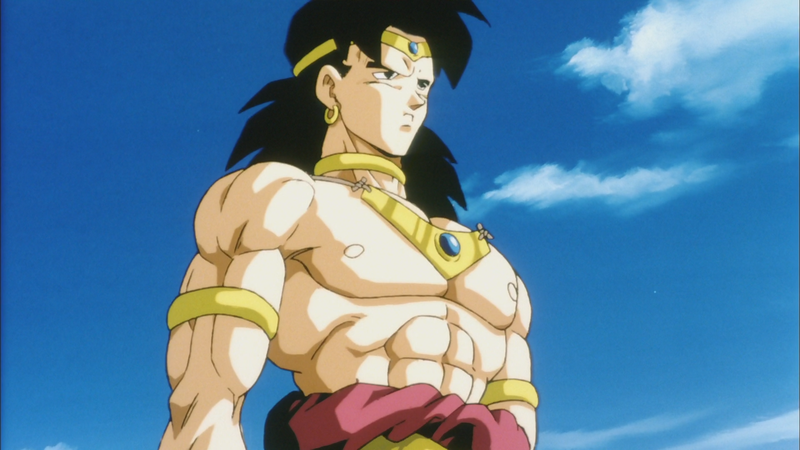 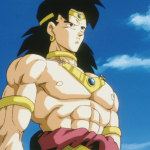 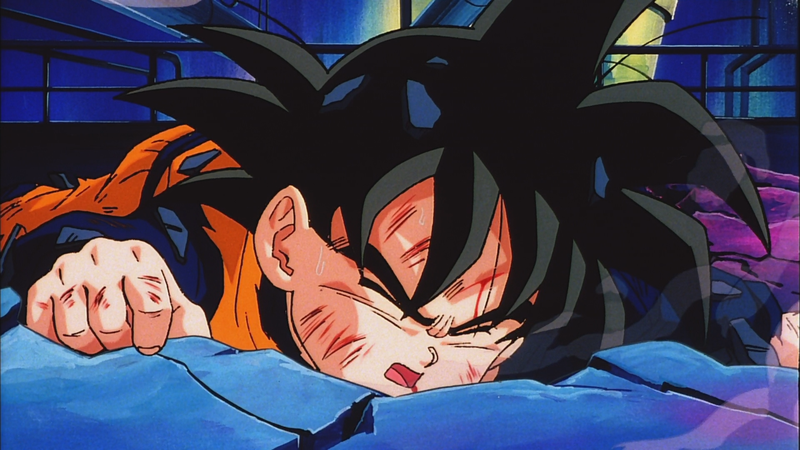 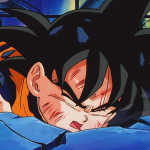 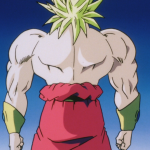 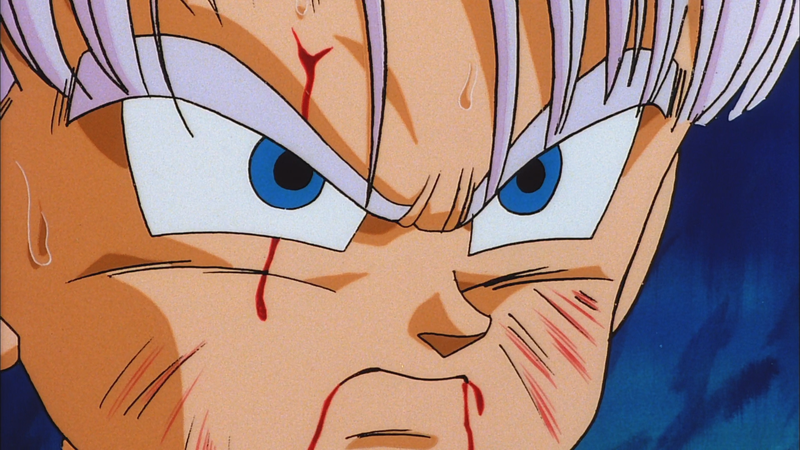 As for movie 3, Bio-Broly… it just isn’t that good. 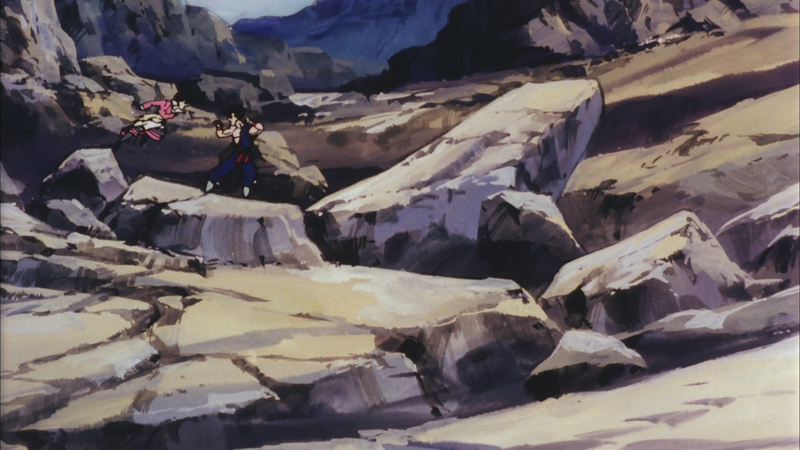 The plot is basically empty, and even the fights aren’t really that good. 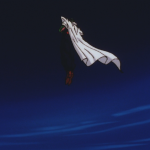 Outside of a few scenes, the movie is just honestly boring. 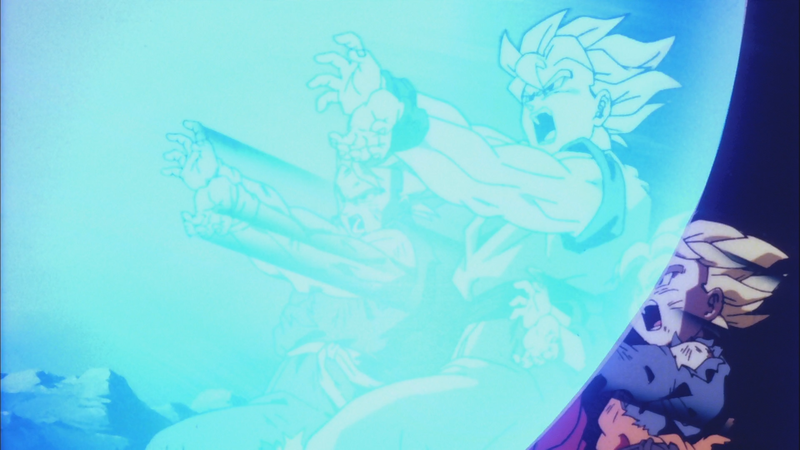 Now onto the disk itself. 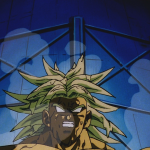 The video suprised me a little in that, it appears for the first two movies, they did new encodes as opposed to using the MPEG-2 encodes from the last Broly disk (I’m not 100% sure on this, as I can’t find my original Broly Blu-ray, but watching it things looked signifigantly better). 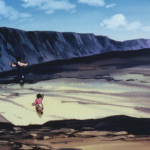 The video quality of the films gets better per movie, and the only thing that leaves any suspicion that the original encodes were just converted to AVC is that visually the third movie looks quite a bit better. In general I don’t believe this is the best the movies could look, but there is nothing inherently bad about it besides not being insanely perfect (some dirt, things in the picture that clearly show the video wasn’t remastered as much as it could have been). 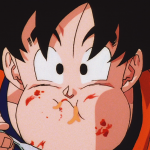 For those who need to know, they use a dual layer disk and give the films some space to breathe with the video bitrate generally being 10 to 25% higher than the average of all the other double feature disks. 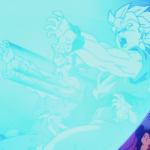 Overall the video is the nicest we’ve seen for these films and is relatively easy to sit back and watch. 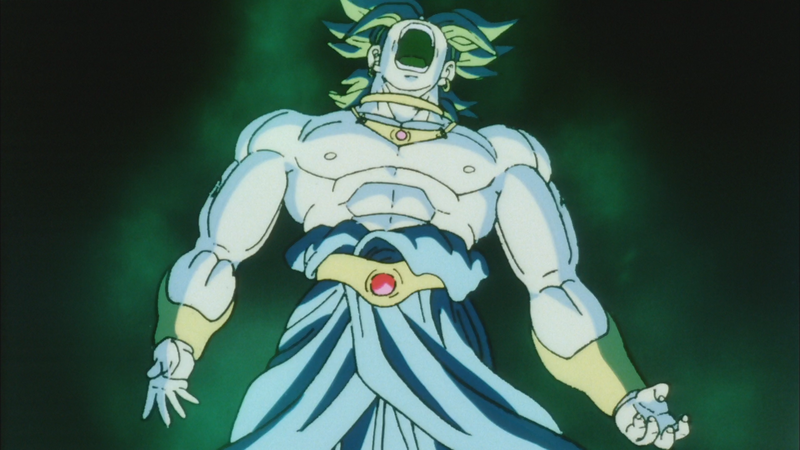 The audio on the disk has been completely redone from the rather subpar audio the last Broly Blu-ray got, and is about average for a Blu-ray. 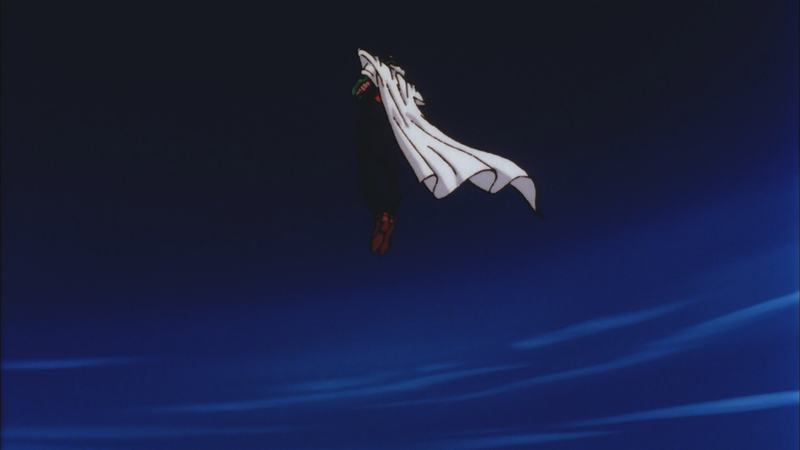 It’s relatively clean if a little flat. 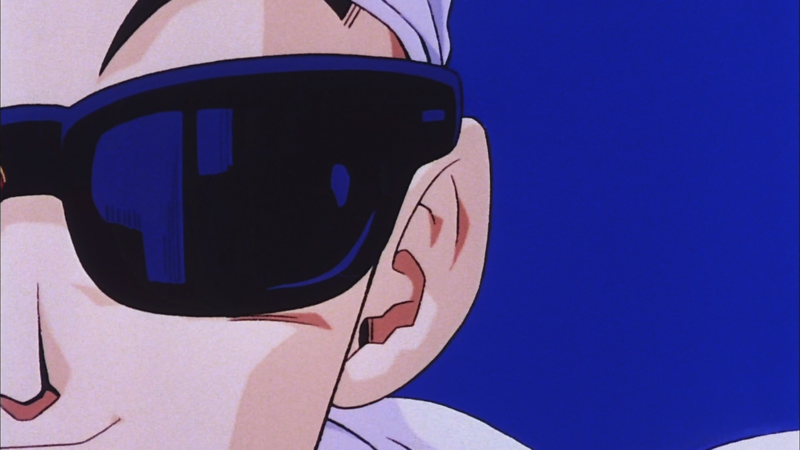 The dub tracks are lossless and clear sounding. 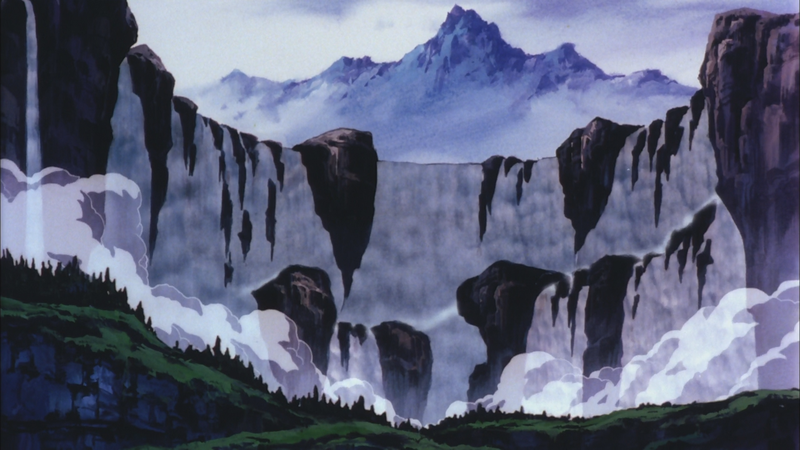 Once again, nothing special, but generally good. 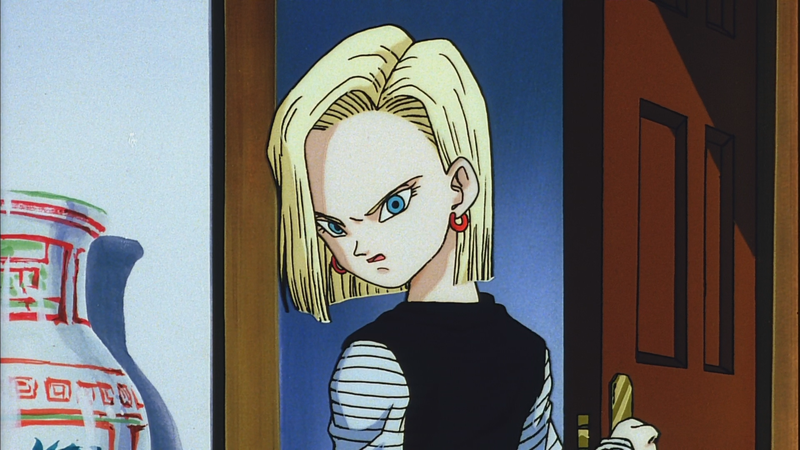 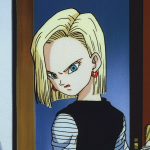 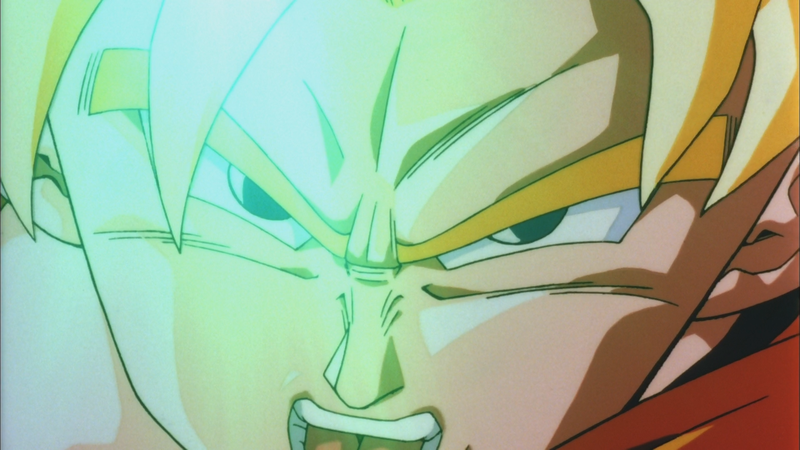 The Japanese track is a plain Dolby track with a high bitrate and like many of the other Dragonball Z Blu-rays, is the best the Japanese audio has sounded in an American release. 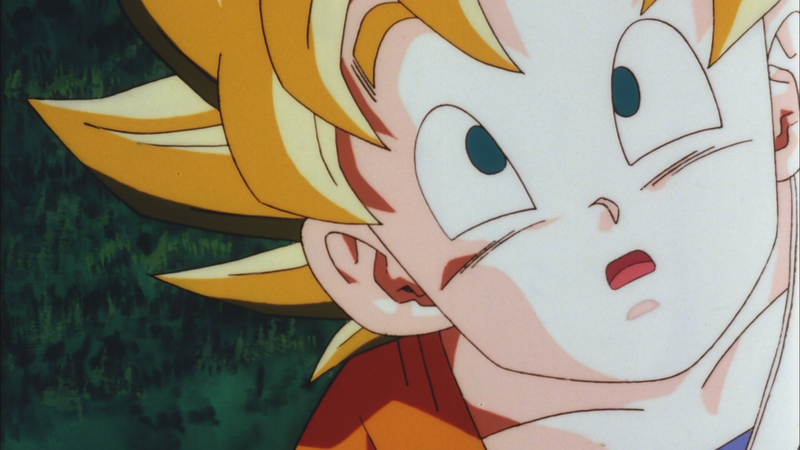 Along with having very nice subtitles it allows any Dragonball Z fan to get the audio they want with a nice presentation. 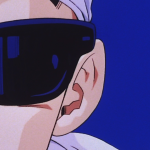 Right below is detailed info on each audio track (average bitrates). 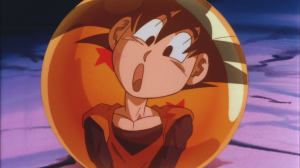 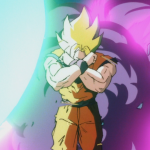 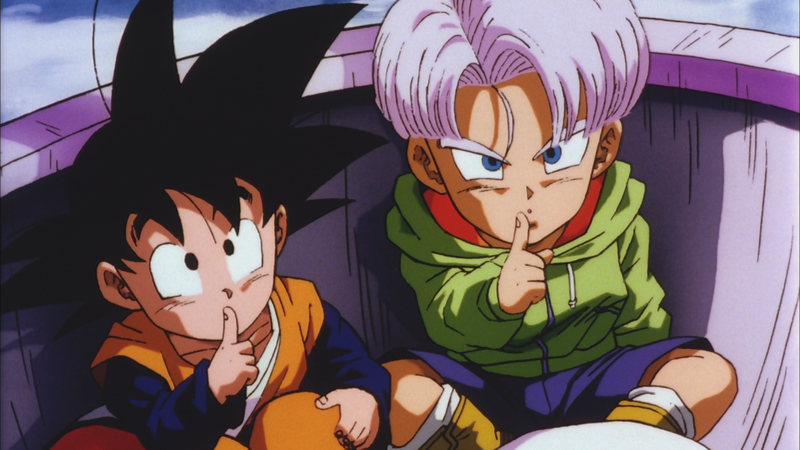 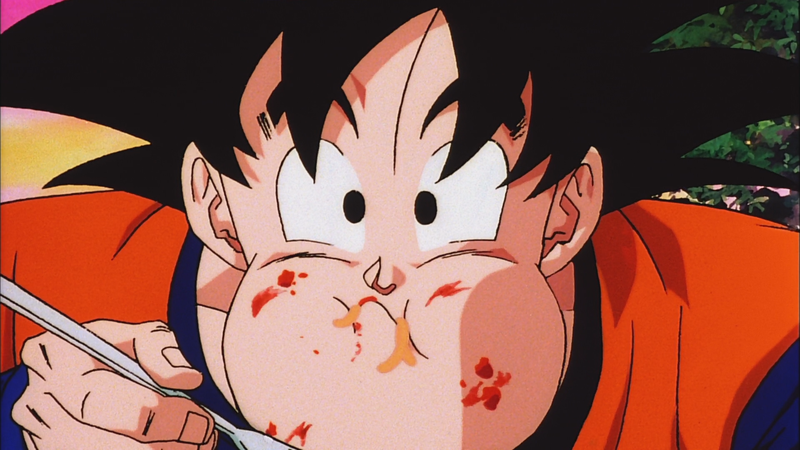 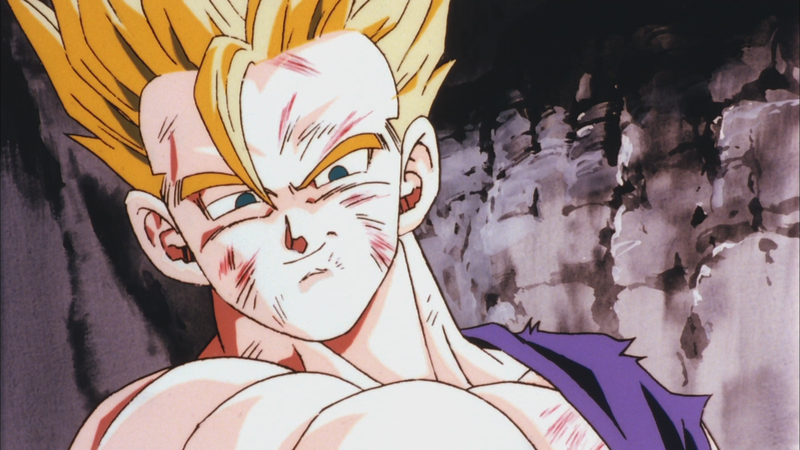 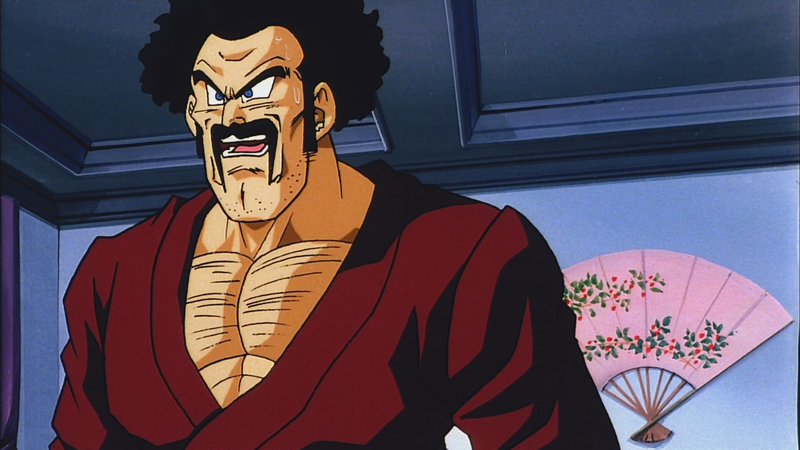 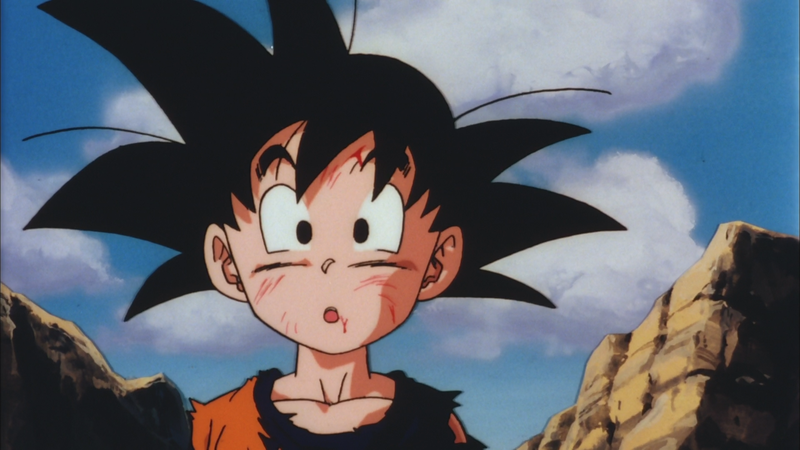 I won’t be reviewing the dub itself, because for Dragonball Z, that gets kinda personal for everyone, but suffice it to say, between the 3 audio tracks, I’m sure everyone will find something they want to listen to and be able to enjoy it. 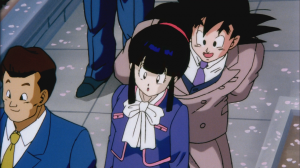 The set has no extras, so nothing to review there, but I thought I’d mention that from watching the trailer, it’s nice to see the Blue Gender TV Blu-ray set isn’t being cropped. 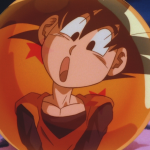 The Fanboy Review is currently holding a contest with the DVD version of this and other DVDs as prizes, feel free to click this line to be taken to the contest page. 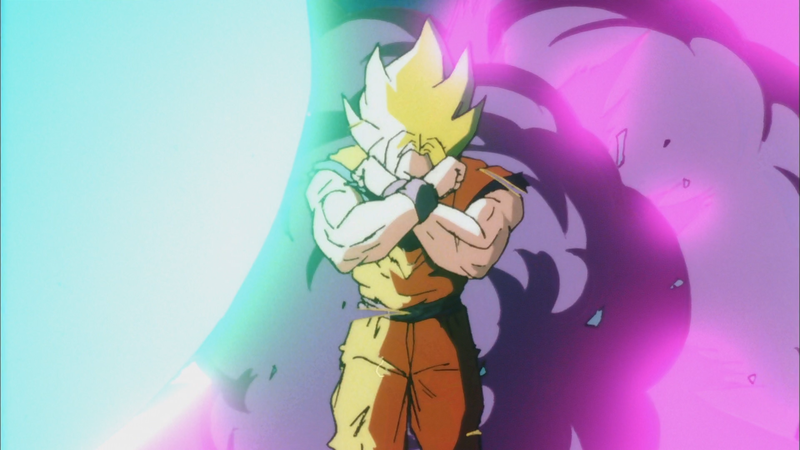 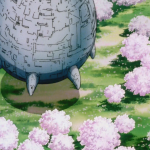 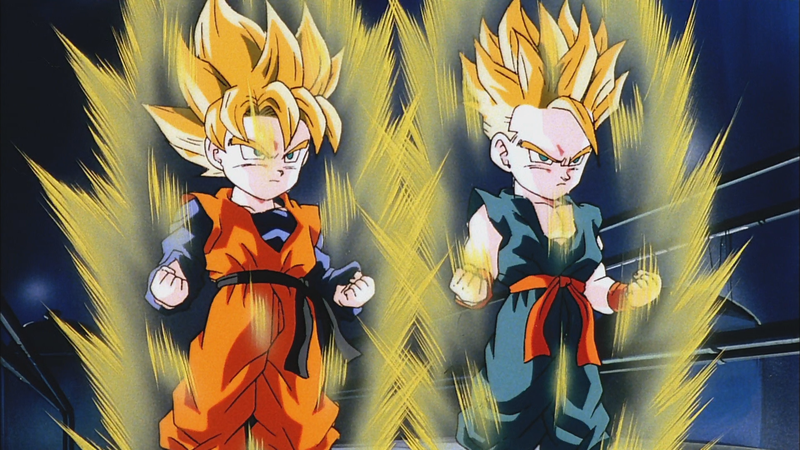 Dragon Ball Z – © 2004 BIRD STUDIO/SHUEISHA, TOEI ANIMATION. 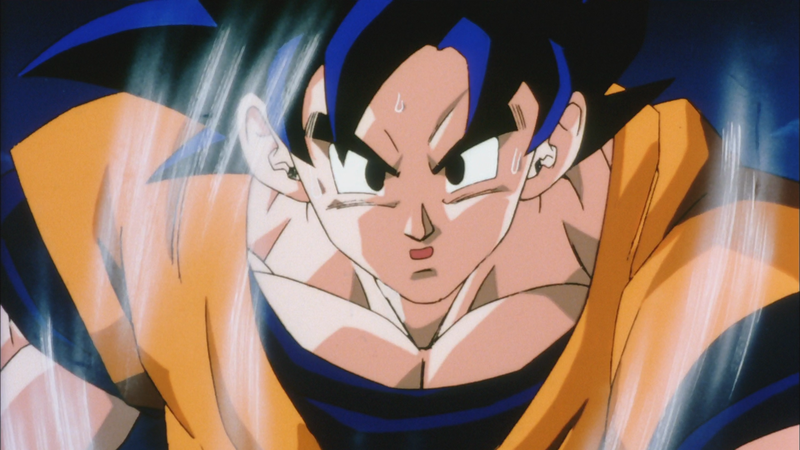 Licensed by FUNimation® Productions, Ltd. All Rights Reserved. 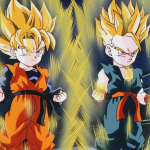 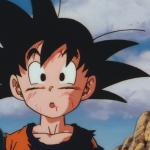 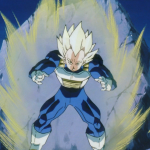 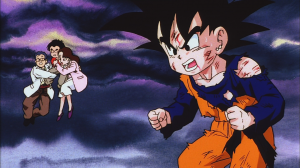 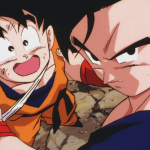 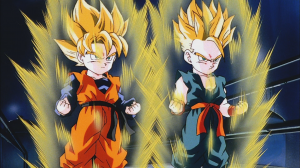 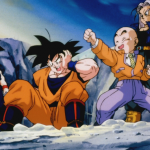 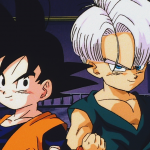 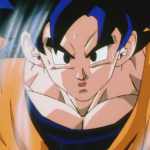 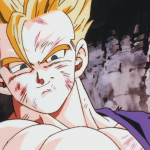 This entry was posted in Anime Review, Early Looks and tagged Animation, Anime, Blu-ray, Broly, DBZ, Dragonball Z, Early Look, Early Review, Funimation, Review on March 23, 2009 by Marc.